South Puget Sound Community College (SPSCC) today announced that the work of Associate Dean of Transition Studies Dawn J. Murphy has received a two-year, $200,000 federal research grant through the Corporation for National and Community Service. Murphy, a PhD student at Fielding Graduate University, along with community and university researchers, will develop and implement a Community-Based Participatory Research (CBPR) project in the Pac5, a five-county region in the Pacific Mountains of Washington State, centered on the Arbutus Folk School of Olympia, Wash. Throughout Murphy’s two-year “Leading from the Roots” project, researchers will examine economic resiliency and vitality options through the lens of sustainable, bottom-up, heritage arts-based economic development. 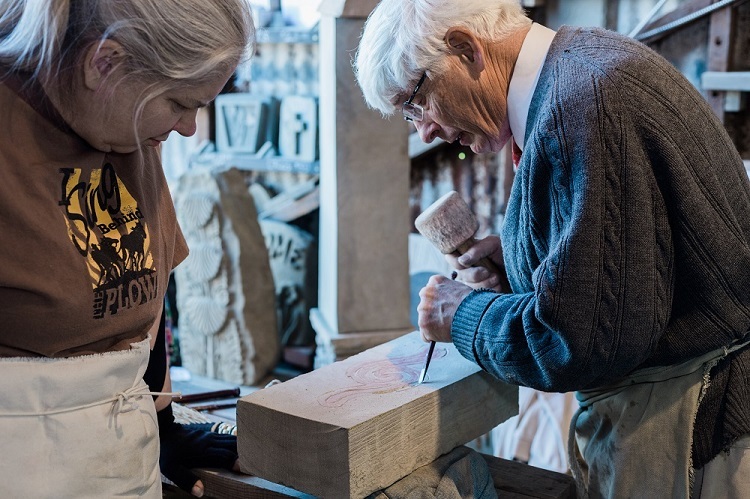 The project aims to investigate two questions: how do traditional artists and craftspeople reduce their region’s dependency on unsustainable economic drivers? And what impact does engaging in a Community Based Participatory Research process have on folk schools? The Corporation for National and Community Service received a total of 202 applications for the grant from universities in 46 states and the District of Columbia, Guam, and Puerto Rico. Collectively, these applicants requested more than $21.4 million, making this research grant highly competitive. The “Leading from the Roots” project received one of the sixteen grants awarded.